The Berry family’s journey from farming to specialty cheese began in 1987. Such a leap was triggered by a huge upheaval in our rural communities. In 1984 all farming subsidies were removed, product prices halved and interest rates ballooned to 23-24%. When Rob Muldoon was voted out Roger Douglas and Labour inherited a broken economy. ‘Rogernomics’ and the ‘free economy’ were born, which crippled our rural communities resulting in many farmers leaving the land and numerous farmer suicides. In our case, North Otago had the added challenge of crippling droughts. We had a pretty large farming operation, which included a high country run and two down land properties. I decided the former could stay as it was, while the down country farms would be used for cropping and stock trading. . .
Any initiative that helps train health professionals ready and willing to work in rural communities is good, says Michelle Thompson, chief executive of Rural Health Alliance Aotearoa New Zealand (RHAANZ). The Government announced last week a plan to establish a school of rural medicine within the next three years to train doctors for rural and regional areas. Two proposals are now before the Government: one from the University of Waikato and the Waikato DHB, the other a joint proposal by the Otago and Auckland medical schools. . .
As the traveller turns off State Highway 2 at Oringi, south of Dannevirke, the cellphone coverage hovers around three or four bars. Further down the road they start to disappear and have gone completely 10 minutes later when the Manawatu River bridge is crossed and the road winds towards Kumeroa. This isn’t unusual for thousands of rural roads around the country. Farmers all over New Zealand put up with landlines reminiscent of the 1980s and satellite broadband costing a small fortune. . .
For Joseph Domingo, Taranaki has given him the chance to live his dream. Born and raised in the Philippines, Domingo made the difficult decision to leave his homeland shortly after he completed his tertiary education in animal science. It was a choice driven by economics and a desire for seek out new opportunities. Domingo said competition for jobs in the Philippines is fierce and a university education doesn’t guarantee work in a country with a population of 103 million people. Only about 60 per cent of tertiary educated people get work there, he said. 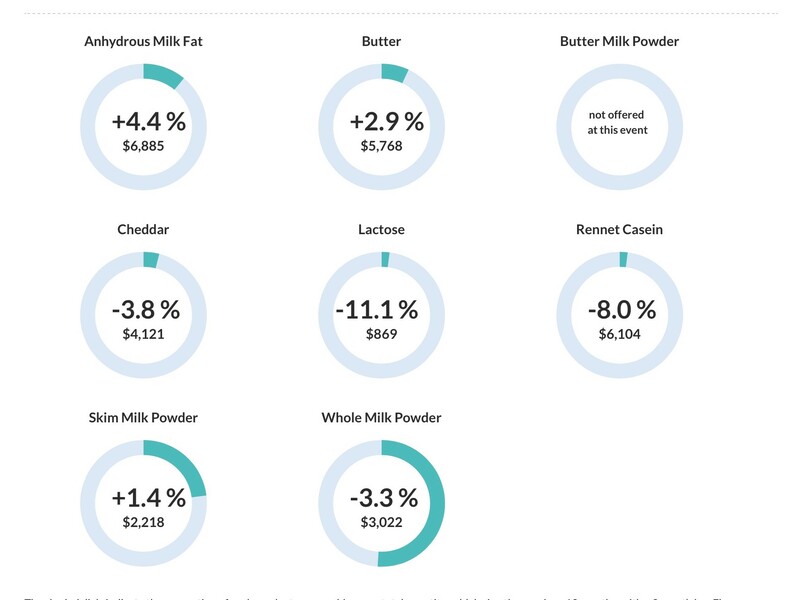 “The best opportunity for me and my family was to move overseas.” . .
Yesterday’s GDT (Global Dairy Trade) auction has again demonstrated the continuing strength of butterfat prices, with the butter price up 3.8% and AMF (Anhydrous Milk Fat) up 3.6%, according to the IFA’s (Irish Farmers’ Association’s) National Dairy Committee Chairman, Sean O’Leary. Taken together with continued strong European market return trends, it is clear that a price increase on August milk of at least 1c/L is fully justified, the chairman stated. . .
Just to be a finalist was an absolute thrill for Gary and Adrienne Dalton and the Te Whangai Trust in this year’s Auckland Ballance Farm Environment Awards. Winning the region’s Hill Laboratories Harvest Award made it even sweeter, Gary says. . .
After being called sexist, Louise Giltrap feels the need to explain what she really feels about her husband’s place in the family. My last column about how women cope with stress struck a chord with a lot of people. Rural women out on the farm everyday especially identified with it. Men read it and said it was like having a penny drop for them. Their wives had been telling them, but all of a sudden it made sense. That’s just my opinion. Even though I’m headstrong and opinionated and have my roles within our agribusiness, Geoff is the head of our family. . . 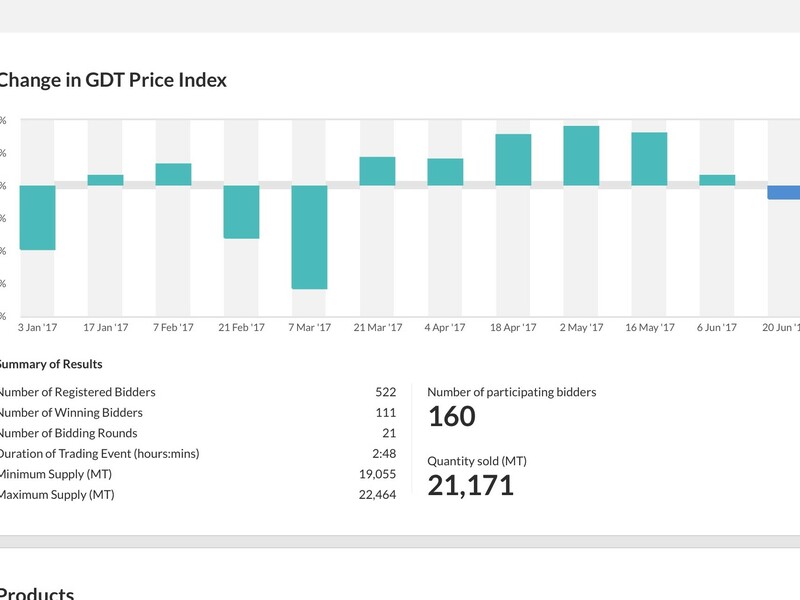 The GlobalDairyTrade price index was down .8% in this morning’s auction.